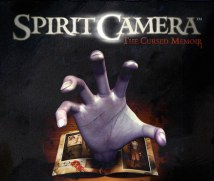 How did development of Spirit Camera: The Cursed Memoir start? The beginning was quite simple. When Nintendo first presented the Nintendo 3DS system to us, I fell in love at first sight. (laughs) With the stereoscopic 3D, camera and gyro sensor, I thought it was the perfect hardware for the Project Zero series. 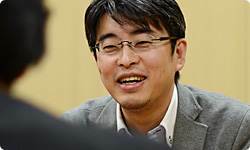 Like Kikuchi-san, a lot of people at Nintendo also felt like Nintendo 3DS was suited to horror. I thought so, too, and I was certain that when it came to horror, Tecmo Koei Games was the only option. You were sure because of your experience working together on Zero: Tsukihami no Kamen. Then my team immediately drew up a project proposal. But unfortunately, the first proposal didn’t go through. 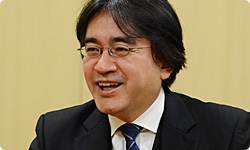 It was because Iwata-san, you said that horror was more suited to home consoles and our proposal just wasn’t convincing as to why it should be for a handheld. Then we went back to the drawing board. We had Izuno-san and Makino-san participate in planning sessions and discussed it over and over again. The first proposal was pretty much a regular home console Project Zero game ported onto Nintendo 3DS. What’s more, there was something I had to do based on my experience as producer of Zero: Tsukihami no Kamen. This may be taken the wrong way, but I felt that an approach that concentrates only on saying, “This is a terrifying horror game,” would narrow the number of people who will pick it up. There is that problem of the entry point. Lots of people enjoy horror movies, but I feel like not that many people are checking out horror video games. You wanted to solve that somehow, correct? The Nintendo 3DS system is a handheld, so I thought we should take advantage of the benefits of being able to easily play it and carry it around. I also thought that we should approach customers with a game that would have AR at the core and be scary, but would also have a new kind of entertainment experience only possible with the Nintendo 3DS system. To be honest, we just thought of the AR in the first proposal as a single element in the game. It was just an extension of the previous Project Zero games. Then, based on Izuno-san’s suggestions and in-house ideas, we hit on the possibility of presenting it as an adventure game under the rubric of AR horror. Looking back, that had a big influence over this project. Yes. As we worked on the new project, the game design completely switched to something that could only be experienced on Nintendo 3DS. All the parts locked together and we saw it through without simply transplanting the existing Project Zero series. The reason I didn’t give the first proposal an okay was because in my mind horror games should have fairly rich graphics and good sound, and you make the room dark and concentrate on them alone. I felt like if you made a game for the Nintendo 3DS system based on that home console concept, no matter how many new features you pack in, it would be a watered down version of the console version. 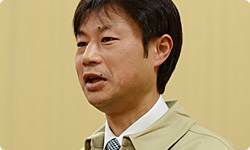 I said that because, like Izuno-san said earlier, I thought adopting a different approach held the possibility of getting through to a broader base of people. Which makes me thankful for your initial rejection. When you participate in a new project like this, there are several hurdles. Those were clear this time, and every time we made it over one, I felt like the game had risen a notch. There were a lot of obstacles. The first one was making the switch to a game with AR at the core. The second was when we made the prototype and didn’t know how to handle the markers. You mean the AR markers.8 8. AR marker: A visual pattern players focus the camera on and the game reads to display augmented reality content. For the prototype, at first we considered using real objects as markers. But since phones and clocks and such will differ from house to house, we ran into trouble determining what it should recognise. Even if they were standard household items, it would be difficult to find something with the exact same shape. We really mulled over a lot of ideas, but it just didn’t go well and we got bogged down. During a planning session around that time, Izuno-san tossed out the idea of including a book. If the product came with an actual AR Book that had all the standard markers in it, you could give all the players the same environment, so to speak. Exactly. The idea of including something had come up in-house as well, but it would be costly and a lot of work, so we couldn’t decide on it on our own. But then Nintendo suddenly suggested it! Even before the problem of markers, we had been thinking for a while that it needed something else to get people to pick it up. But we thought that if we included a real notebook with the markers in it, there would be no trouble reading them and it would grow as a product. So the “Cursed Memoir” is a book with writing of unknown origin in it. Was anything difficult about including the AR Book? That’s true! (laughs) If you’re expecting it but it doesn’t happen, it isn’t functioning as a marker. Right. I don’t want to give anything away so I can’t say much, but in order to solve that, we paid quite a lot of attention to game design that would - in a good way - run contrary to the player’s expectations. Another challenge was how to handle looking at the real AR Book as the story progressed. AR technology is originally for omitting an interface, so including a notebook that the player would have to flip through would defeat the whole purpose. If it just meant more work, it would be meaningless. Yes. So we put quite a lot of work into devising a fun way for flipping the pages and so forth when using the markers. 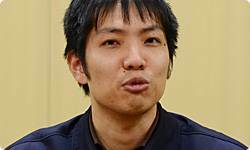 Makino-san, you worked on making the AR Book. Was that difficult? The dilemma was that we wanted the AR Book to be scary but also to function as a marker. I could tell that the designers at Tecmo Koei Games wanted to make the book scary, so I asked them to adjust it over and over, and it ended up like it is now. Recognition and fear didn’t go together easily. Another difficult thing was thinking up forms of play using an actual book. We came up with all sorts of ideas, like something to make you react when flipping the pages or kinds of play that are only possible with a notebook. We put a lot of effort into how much fear and surprise we could pack in. And now, were you able to make it so that this process is a fun element rather than feeling like a task? Yes. We scrapped some ideas, but it was worth working together with the designers at Tecmo Koei Games to turn it into something interesting. Since we were including the book, we wanted to put in ideas aside from the Story mode that you could play many times, so advanced players would be able to play in increasing depth. Once development got into the homestretch, we talked it over a lot. You mean the Cursed Pages mode. I feel like Tecmo Koei Games has lots of staff members who, when asked to make the game deeper, will passionately throw themselves into it. That may be true. (laughs) In that respect, we delved into the story at first, but then we were also able to add a lot that would broaden players’ enjoyment.